You can use this estimator to get an idea on the cost of your audio project. Tape lengths can vary, so this is just a guide. 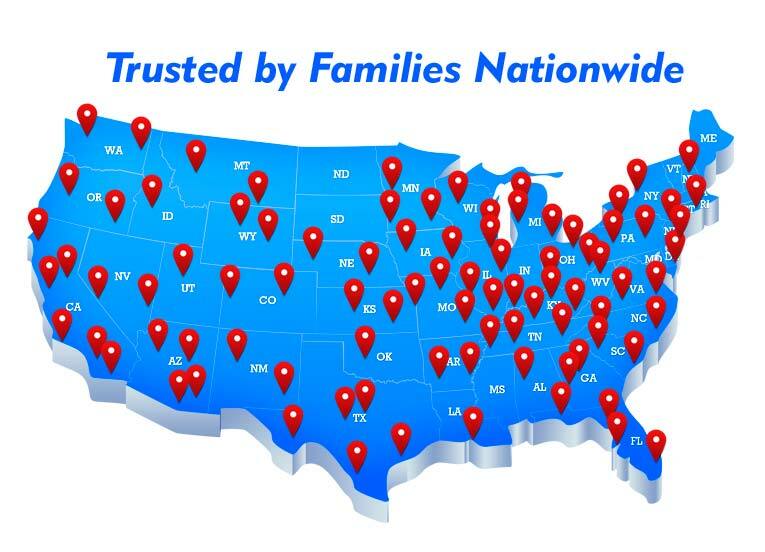 Please feel free to contact us or come by our office anytime to get a more detailed quote. Prices are for standard cassettes only. 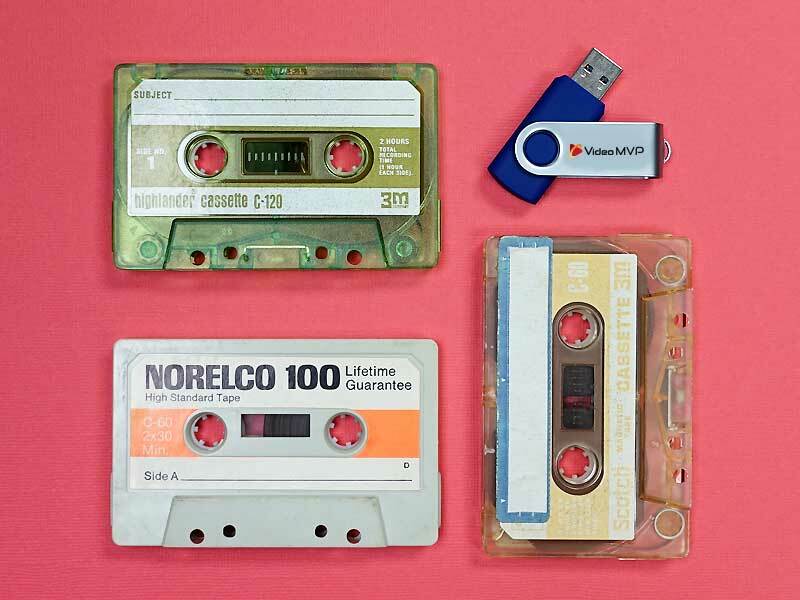 Preserve Those Audio Tape Memories! 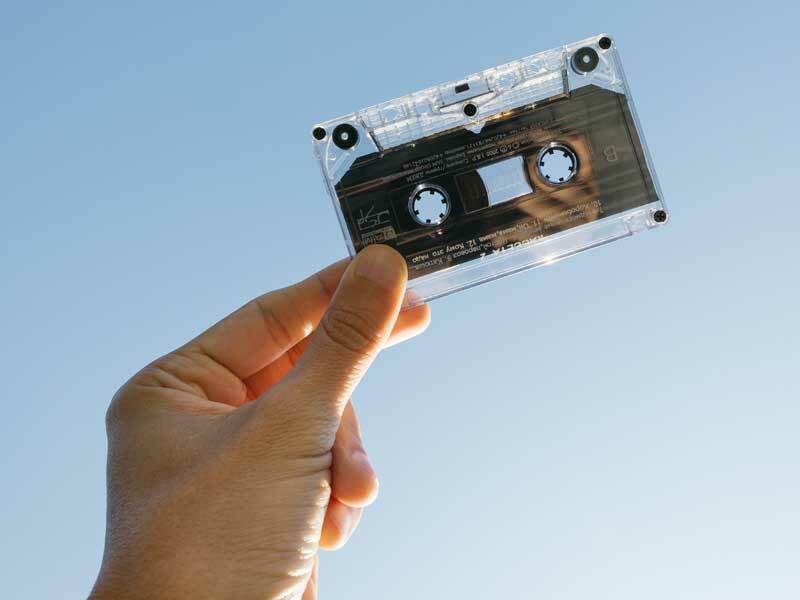 Remember the days when a cassette was the great new technology? 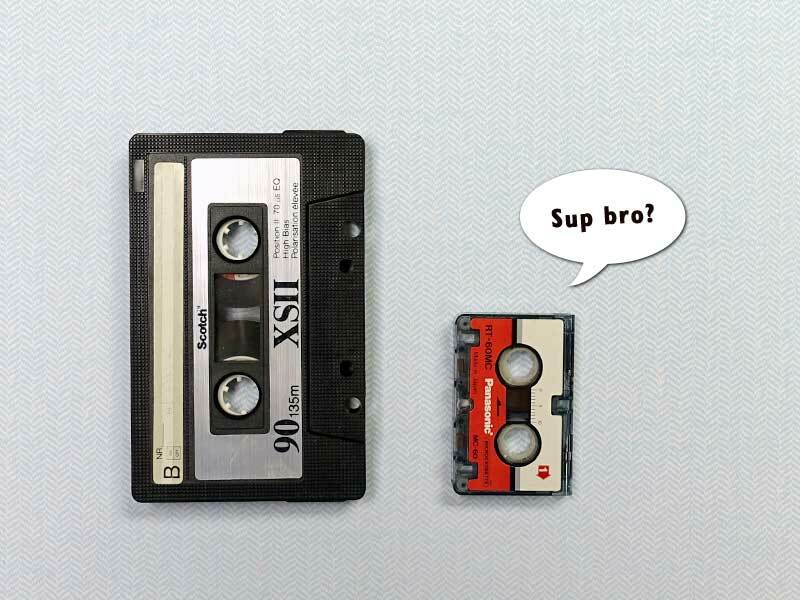 Ask anyone from the 70's and 80's and they'll tell you it was the best way to record audio back then. People recorded special events, local bands, and just family conversations. Unfortunately, those tapes won't last forever. The effects of time can wipe out those memories. 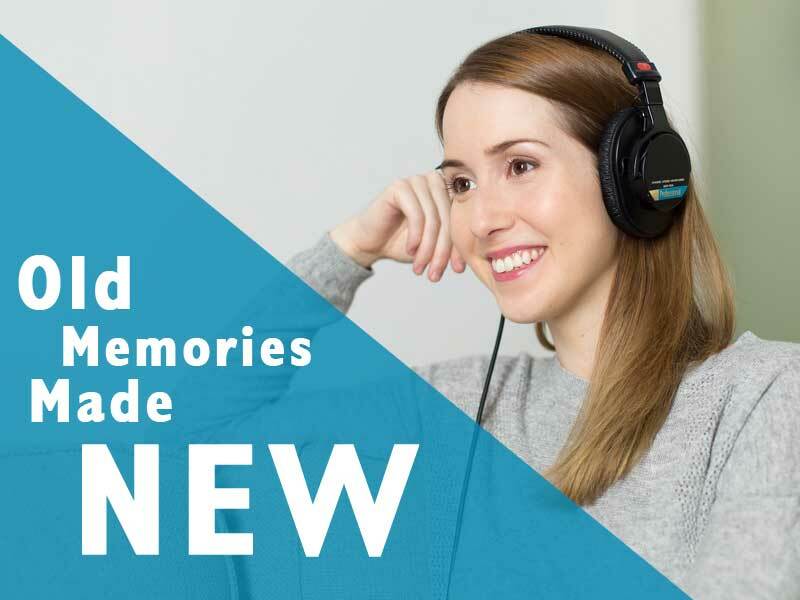 Get your audio tapes converted to digital, so you can preserve and share those moments with family and friends. Audio on tape, especially from decades ago, can often use some improvement. 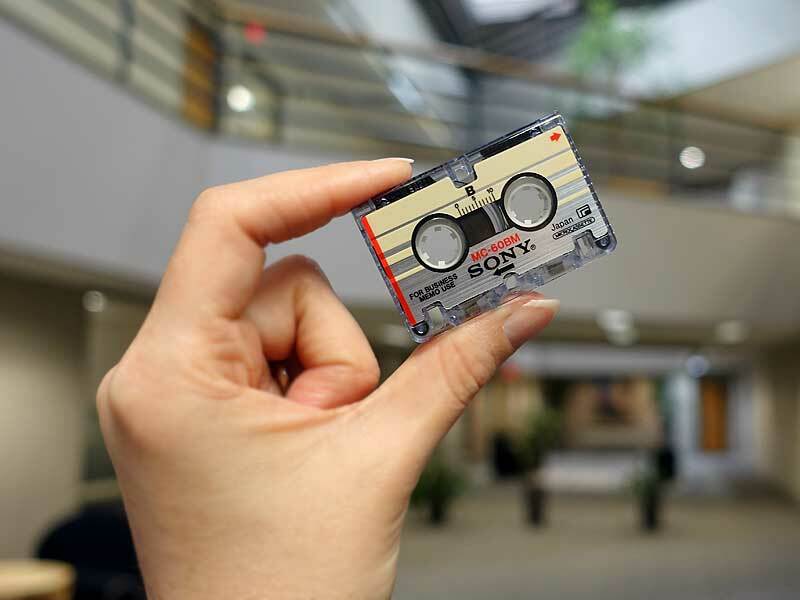 We carefully capture the audio from both sides of your cassette. Next, we "clean" your audio. 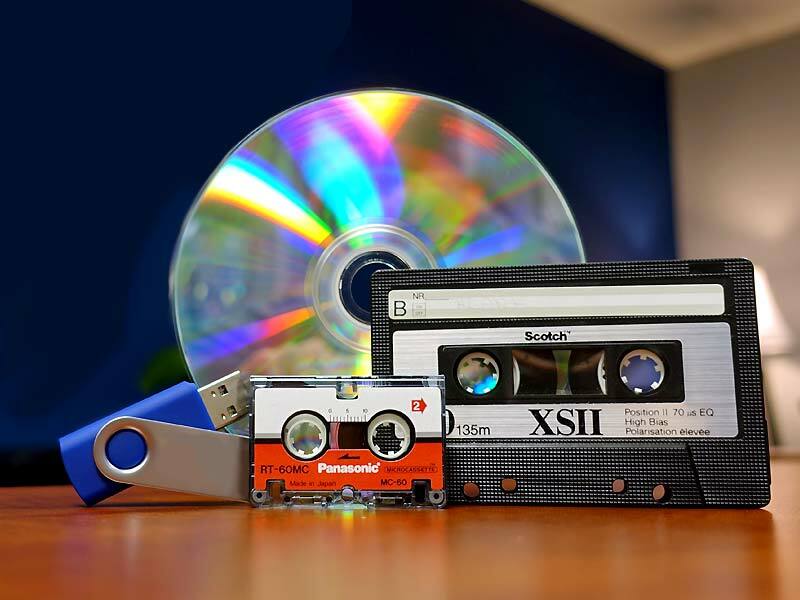 Using software, we reduce and remove the hiss and hum (which is common to most consumer audio tapes) to improve the quality of your final audio. This cleaning process is done at no extra cost. The last step is to create an Audio CD or audio file for USB, based on your preference. Don't forget to get copies to share! All conversions are completed in our office; your tapes are secure here! Take comfort knowing that the people you speak to (or email) will be the same people working on your audio tapes. Please feel free to ask questions. Converting old media is our passion and we understand how important they are. "I went in and talked to (them) regarding converting cassette tapes of my late husband's Jazz Combo into CD's to give to family and friends as a remembrance. He did an amazing job in a timely manner and even designed a label for the CD and jacket covers that is purely professional. One would have never guessed by the quality of the sound of the CD's that they were taken from old cassettes tucked away in a paper bag. Thank you ... for helping me preserve those precious memories for my family." 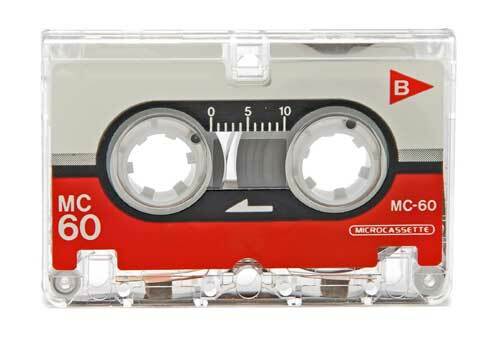 These little tapes were often used in personal recorders and home answering machines. They can be used on both sides, have two recording speeds, and hold over an hour of content. 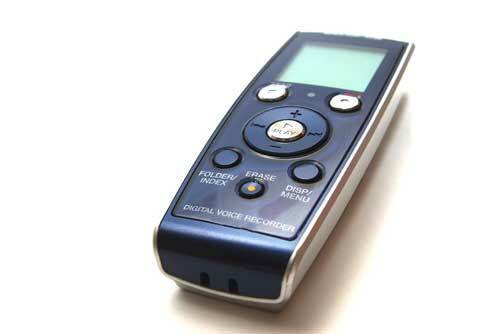 These small voice recorders did not use tape and early versions did not use cards. They often recorded the audio on internal storage. Sometimes special software is required to convert the saved files. These recorders can potentially hold hundreds of hours. This classic audio tape was used in the 1960s to early 1980s. Its popularity never reached that of the audio cassette and quickly faded away. 8-track tapes feature four tracks of stereo sound and would continuously loop. Typically, they hold less than an hour on content. 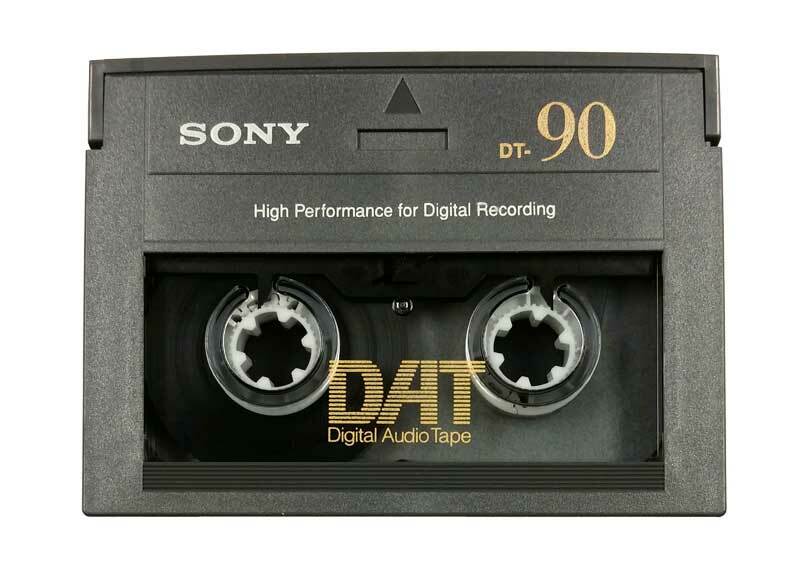 Digital audio tape was mostly used in professional environments. As the name says, this cassette held digital tape compared to analog tape. The sound quality is superior to standard analog cassettes. 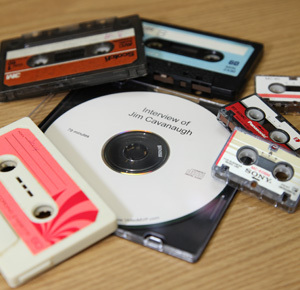 Tapes typically held 60 to 120 minutes of audio. My cassette doesn't sound as good as I remember. Can you improve the quality? Often we can. 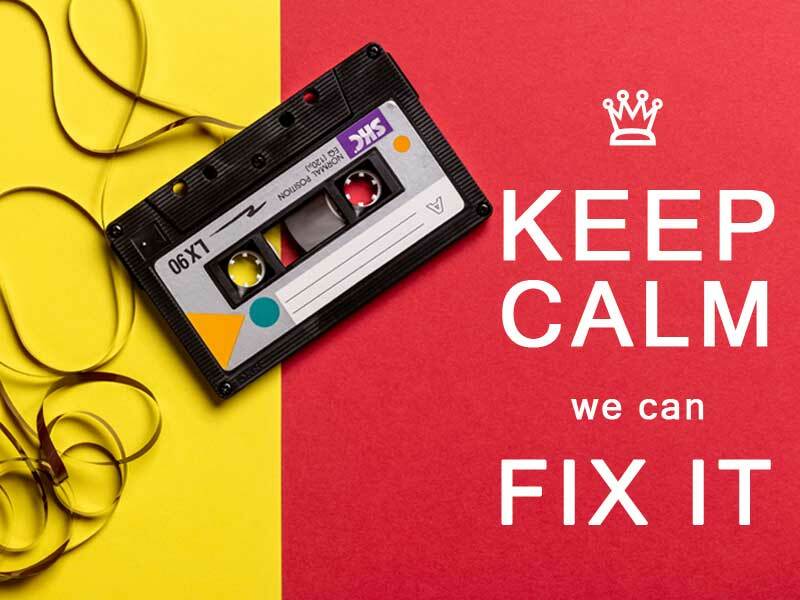 We will apply filters to the digital audio to remove hiss, hum, and some other common noises in audio cassette recordings. We do this at no additional charge for all your tapes regardless of whether you want CDs or an audio file. My tape says it's 90 minutes. Will that fit on one CD? Maybe. Just because the tape is capable of holding 90 minutes, doesn't mean that it is full. The limit for an Audio CD is 80 minutes. 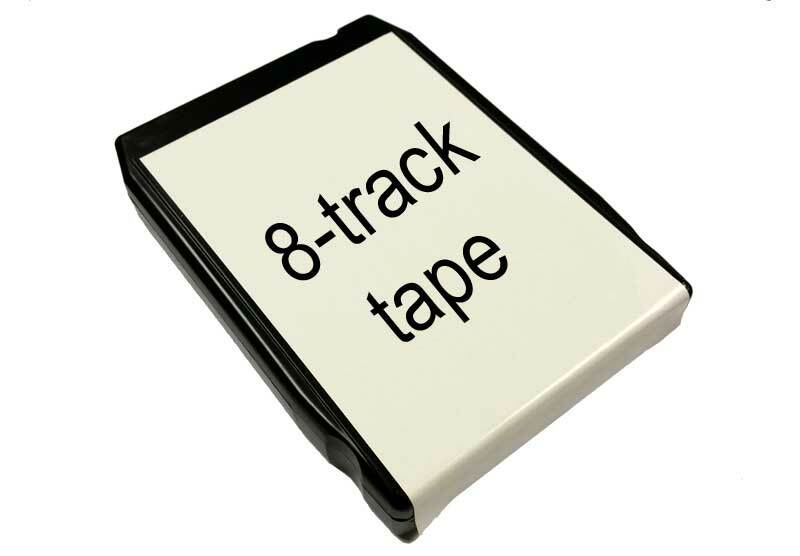 If your tape is over 80 minutes, it will require an extra CD at an additional cost. Can you convert a music cassette that I purchased?